There are five days to the 27th of Rajab, i.e. 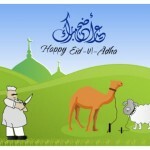 five days to Laylatul Mi’raaj. This is a good time to remember the miracles of the Blessed Night. 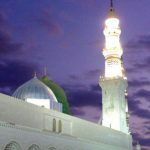 Al-Isra’ wal-Mi’raj are among the many miracles of Prophet Muhammad (P. B. B. U. H.). The miracle of al-Isra’ is confirmed in the Qur’an. 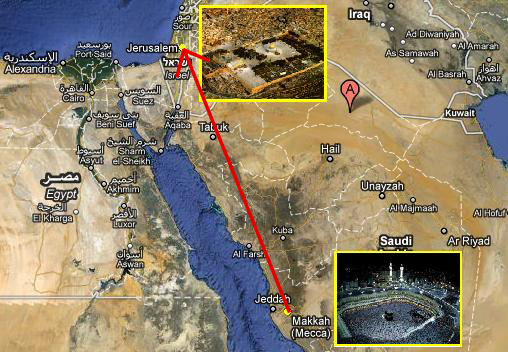 This journey has also been confirmed in the Sahih Hadith. “Al-Buraq was brought to me, and it was a white animal bigger than a donkey and smaller than a mule. One stride of this creature covered a distance as far as it could see. I rode on it and it took me to Bayt Al-Maqdis (Jerusalem), where I tethered it at the hitching post of the Prophets. Then I entered and prayed two Rak’ahs there, and came out. Jibril brought me a vessel of wine and a vessel of milk, and I chose the milk. [Then he resumed his narrative]: “Then I was taken up to the fifth heaven and Jibril asked for it to be opened. It was said, ‘Who are you?’ He said, ‘Jibril.’ It was said, ‘Who is with you?’ He said, ‘Muhammad.’ It was asked, ‘Has his Mission started’ He said, ‘His Mission has started.’ So it was opened for us, and there I saw Harun, who welcomed me and prayed for good for me. Then I was taken up to the sixth heaven and Jibril asked for it to be opened. It was said, ‘Who are you?’ He said, ‘Jibril’. It was said, ‘Who is with you?’ He said, ‘Muhammad.’ It was asked, ‘Has his Mission started?’ He said, ‘His Mission has started.’ So it was opened for us, and there I saw Musa, who welcomed me and prayed for good for me. Then I was taken up to the seventh heaven and Jibril asked for it to be opened. It was said, ‘Who are you?’ He said, ‘Jibril.’ It was said, ‘Who is with you?’ He said, ‘Muhammad.’ It was asked, ‘Has his Mission started?’ He said, ‘His Mission has started.’ So it was opened for us, and there I saw Ibrahim, who was leaning back against the Much-Frequented House (Al-Bayt Al-Ma`mur). This version was also recorded by Muslim. Imam Ahmad recorded Anas saying that Al-Buraq was brought to the Prophet on the Night of the Isra’ with his saddle and reins ready for riding. The animal shied, and Jibril said to him: “Why are you doing this By Allah, no one has ever ridden you who is more honored by Allah than him.” At this, Al-Buraq started to sweat. Ahmad also recorded that Anas said: “The Messenger of Allah said: ‘When I was taken up to my Lord (during Al-Mi’raj), I passed by people who had nails of copper with which they were scratching their faces and chests. I asked, ‘Who are these, O Jibril’ He said, ‘These are those who ate the flesh of the people [i.e., backbiting] and slandered their honor’.” This was also recorded by Abu Dawud. 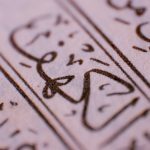 Anas also said that the Messenger of Allah said: “On the night when I was taken on my Night Journey (Al-Isra’), I passed by Musa, who was standing, praying in his grave.” This was also recorded by Muslim. As such, there is scholarly consensus (ijma’) Prophet Muhammad (P. B. B. U. H.) journeyed in BODY and SOUL on the night of al-Isra’ from Masjid al-Haram in Makkah to Masjid al-Aqsain Jerusalem . Moreover, the person who denies al-Isra’ is a blasphemer for belying the manifest text of the Qur’an. 1. Allah enabled the Prophet (P. B. B. U. H.) to see the world (dunya) like an old woman. However, this old woman was wearing a great deal of jewelry, and in this there is an indication signifying the reality of the world. 2. Allah enabled the Prophet (P. B. B. U. H.) to see Iblees. The Prophet (P. B. B. U. H.) saw something on the side of the road which did not dare to stand in his way or speak to him. What the Prophet saw was Iblees-e-La’een***. 3. On his journey, the Prophet P. B. B. U. H.) smelled a very nice odour. He asked Jibril (a.s.) about this pleasant scent and Jibril (a.s.) informed him this good smell was coming from the grave of the woman whose duty used to be to comb Pharaoh’s daughter’s hair. This woman was a good, pious believer. One day, as she was combing Pharaoh’s daughter’s hair, the comb fell from her hand. At this she said, “Bismillah“. Pharaoh’s daughter asked her, “Do you have a god other than my father?” The woman said, “Yes. My Lord and the Lord of your father is Allah.” Pharaoh’s daughter told her father what had happened. Pharaoh demanded this woman blaspheme and leave Islam, but she refused. At that, Pharaoh threatened to kill her children. He brought a great pot of water and built a great fire under it. When the water boiled, Pharaoh brought her children and started to drop them into that pot one after the other. Throughout all this, the woman remained steadfast to Islam, even when Pharaoh reached her youngest child, a baby boy still breast feeding, but she felt pity for him. At that, Allah enabled this child to speak. He said to his mother, “O Mother, be patient. The torture of the Hereafter is far more severe than the torture of this life, and do not be reluctant, because you are right.” At this the woman requested Pharaoh collect her bones and the bones of her children and bury them in the same grave. Pharaoh promised her that, then dropped her into that boiling water. She died as a martyr. The good odour the Prophet smelled coming from her grave is an indication of her high status. 9. On his journey the Prophet (P. B. B. U. H.) saw people who were competing to eat some rotten meat-ignoring meat that was sliced and unspoiled. Jibril (a.s.) told the Prophet, “These are people from your nation who leave out that which is permissible (halal), and consume that which is forbidden (haram). “This reference was to the fornicators, that is, the ones who left out the permissible (marriage) and committed sins (fornication) . 10. Also, the Prophet (P. B. B. U. H.) saw people who were drinking from the fluid coming from the bodies of the fornicators, (water mixed with blood). Jibril (a.s.) indicated to the Prophet these were the ones who were drinking the alcohol which is prohibited in this world. ***Originally, Iblees was a believer and lived with the angels in Paradise . When Allah ordered the angels to prostrate (sujud) to Prophet Adam (a.s.), Iblees was ordered to prostrate to him as well. The angels prostrated to Adam in obedience to Allah, because angels do not disobey Allah. 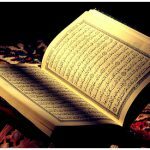 However, Iblis did not obey, and he objected to the order of Allah. He said, “You created me out of fire, and You created him out of clay. How do You order me to prostrate to him?” So this objection by Iblees to the order of Allah was the first blasphemy he committed. Assalamualaikum.. Very informative sms on the Holy Prophet (PBUH) night journey. Now i will disseminate all these useful information via Cell Text SMSs to the fellow Muslims Brothers Insha Allah. Regards.